New 5 metres x 600mm 35 degree troughed conveyor running at 1m/sec. 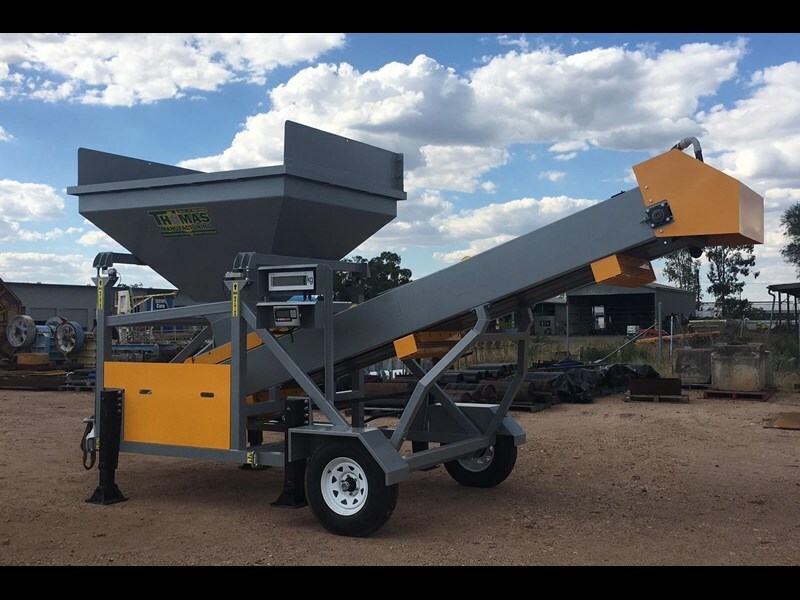 New 3 cubic metre loading hopper. New 500mm high extensions for three sides of the hopper. New 5 digit re-settable readout 75mm high on weighing system-12 volt. New 20 tonne capacity Shear Beam Load cell system. New Manual open/close clamshell doors on hopper. New Sumitomo Torque gearbox on conveyor. New THOMAS troughing frames and rollers. New Tail and lagged head drum. New Yanmar Diesel 15hp electric start engine. New Land cruiser rims and tyres. New two sets of wind down legs. New 6 tonne tow ring. New 2 inch water pipe to top of conveyor. Fully sandblasted and powdercoated. Colours to be advised.